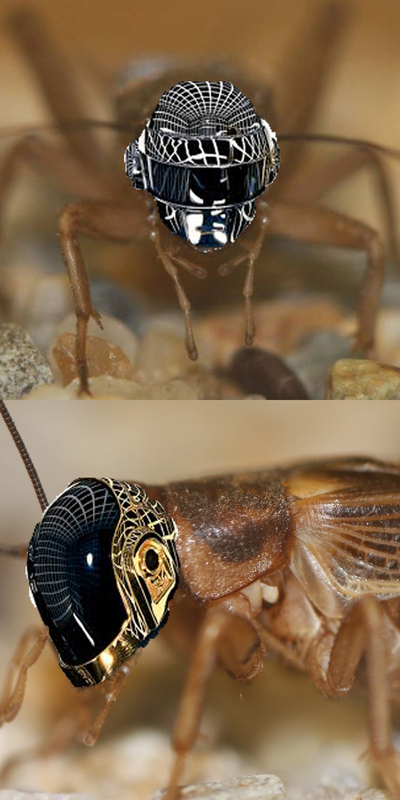 Figure 1: To get lucky, males crickets have to chirp harder, better, faster, and stronger. In nature, females choose males for many reasons. Chosen males may have bright plumage, they may be good fighters, or they may successfully serenade females with their song. Male field crickets try to convince females that they are the best mate by producing more superior chirps than other males. Females tend to prefer males whose signals are harder, better, faster, and stronger (or more accurately longer in duration, more frequent throughout the night, at higher pulse rates, and louder; Figure 1). Since male crickets with the best signals typically mate most often, we should expect that all males should signal with high effort. But instead, males exhibit substantial variation in how often they signal, with some males signaling for much of their adult life while others rarely signal. Why does variation in cricket signalling behaviour persist? One appealing solution to this problem is the genic capture hypothesis. Genic capture assumes that variation in sexually selected traits is constrained by an organism’s condition. Instead of genes directly determining a male’s ability to signal for a mate, the genes code for a whole bunch of different factors that affect a cricket’s condition (Figure 2). These factors could be physiological, biochemical (one cricket may have more active enzymes than another), or morphological (one cricket may have more fat/ carbohydrate stored than another) in nature. So instead of genes directly determining how a male signals, variation in condition may drive variation in signaling effort. 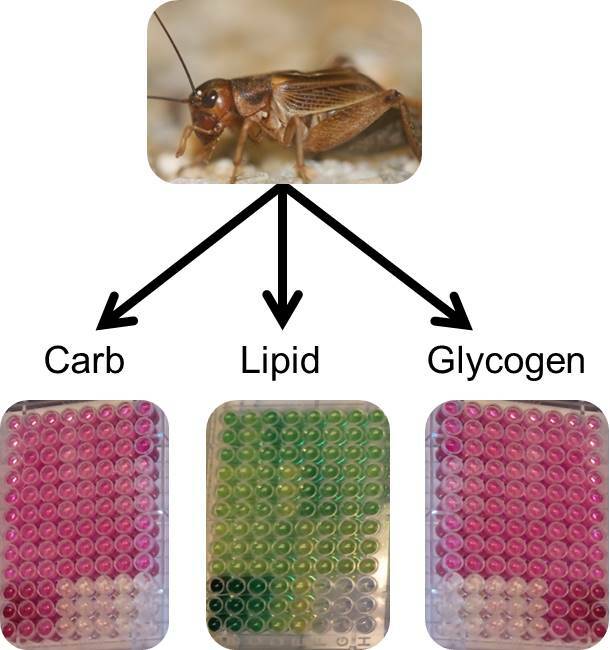 Figure 3: Crickets were dissected, and assays measured the total amounts of carbohydrates, lipids, and glycogen. 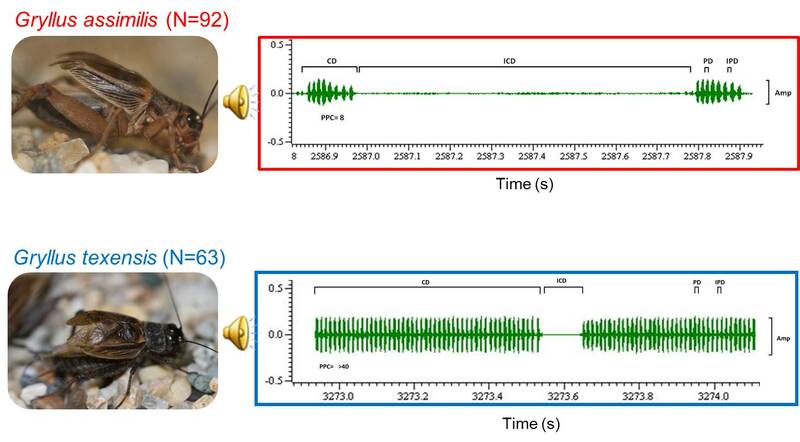 To measure male crickets’ condition (and by doing so address the proximate causes underlying variation in signalling effort) we quantified the total energy stores in the abdomen and thorax (Figure 3) and the maximal activities of key metabolic enzymes in the calling muscles in two species of field cricket and assessed whether they correlated with signalling variation. We did this work on chirping male Jamaican field crickets (Gryllus assimilis) and trilling male Texas field crickets (Gryllus texensis) (Figure 4). 2) Variation in sexual signalling quantity and quality would be correlated with variation in capacity to accumulate and store carbohydrates and/or lipids. We found that chirping G. assimilis primarily fuelled signalling with carbohydrate metabolism: individuals with increased thoracic glycogen stores signalled for mates with greater effort; individuals with greater glycogen phosphorylase (an enzyme used for carbohydrate metabolism) activity produced more attractive mating signals. Conversely, the more energetic trilling G. texensis fuelled signalling with both lipid and carbohydrate metabolism: individuals with increased β-hydroxyacyl-CoA dehydrogenase (an enzyme used for lipid metabolism) activity and increased thoracic free carbohydrate content signalled for mates with greater effort; individuals with higher thoracic and abdominal carbohydrate content and higher abdominal lipid stores produced more attractive signals. Our findings suggest variation in male reproductive success may be driven by hidden physiological trade-offs that affect the ability to uptake, retain, and use essential nutrients. Our findings reveal that a physiological perspective can help us to understand some of the causes of variation in behaviour.